Any gardener worth their snuff knows that an afternoon spent out in the dirt can cure almost any case of the blues. Science, too, confirms evidence of gardening’s many mental health benefits. From relieving stress to aiding depression, working outdoors keeps you healthier and happier. So what are you to do when the ground’s frozen solid for months on end, and all signs of anything green have withered away? Why, bring the outdoors in, naturally! With these six indoor projects, your gardening skills won’t have to lie dormant all winter. Nothing puts a little summer on your plate like the fresh taste of homegrown herbs. Plants like thyme, rosemary, and sage possess short root structures that make them great candidates for containers. And with their spicy, savory flavor profile, they’re the perfect seasoning for hearty, wintry dishes like stews, soups, and roasts. Most herbs require quite a bit of sunlight to thrive, so a sunnier spot like a kitchen windowsill or countertop offers an opportunity for your plants to catch those necessary rays. But if your kitchen counters are crowded enough as it is, a vertical garden may make a lot more sense. 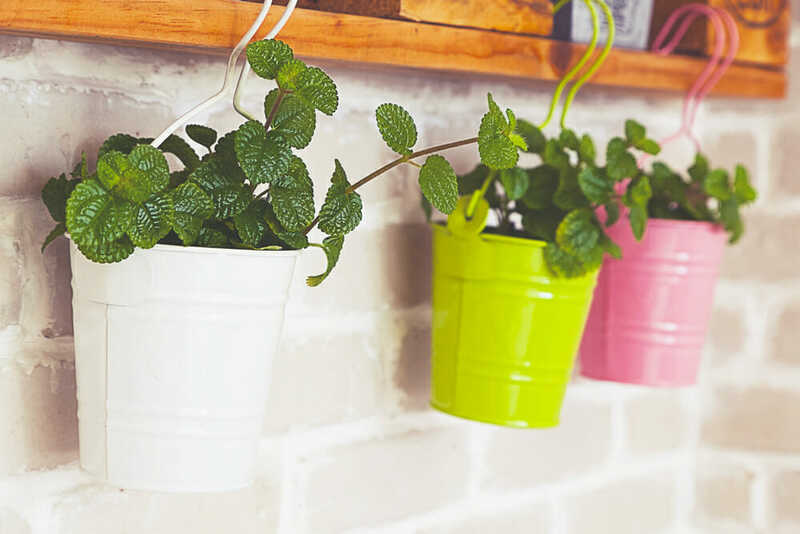 Tin buckets planted with culinary herbs and hung across the walls take up no extra space. And they fill your kitchen with a modern, industrial statement piece as a bonus. And with plenty of great cooking to comfort you, you won’t even miss the warmer weather! Homes are getting greener than ever—in this case, quite literally! A living wall, also known as a biophilic interior, purifies the air inside your home while adding a truly unique design element to your decor. 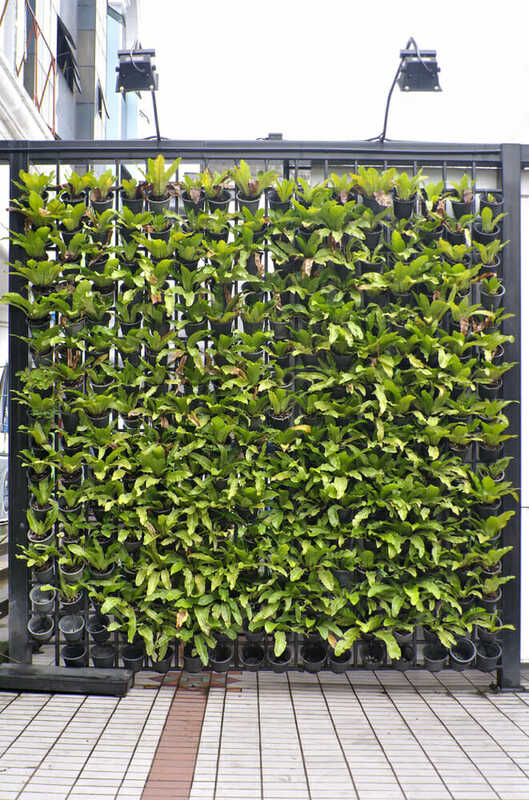 For a DIY solution, purchase a living wall frame, or build one yourself using wooden pickets, an old picture frame, and some chicken wire. Lay the assembled frame flat and fill it with potting soil, then plant small succulents in the openings. Leave it flat for a week or two so the plants can establish roots and the soil can settle. Then hang it from a wall, and enjoy the extra oxygen and stress relief! Looking for a project that really puts the container in container gardening? If you love houseplants but worry about excess dirt in your home, a terrarium offers the perfect solution. 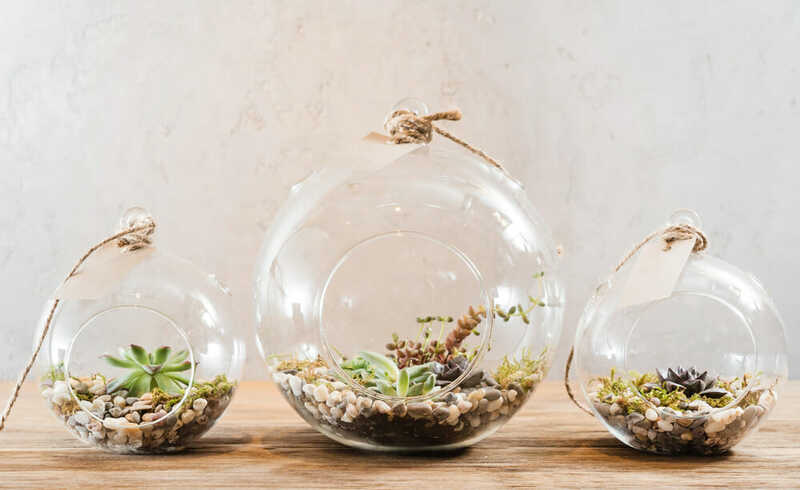 Fashionable, thrifty, and low-maintenance, these little miniature ecosystems definitely add some much-needed green to your decor. To make your own, scope out a craft store for a couple of decorative glass jars. Fill them about a third of the way with pebbles, and then add activated charcoal—a growing additive that absorbs excess moisture. Then top with a layer of potting soil and put in the plants. Traditional house plants like african violets, maidenhair ferns, and spider plants, all do well in terrariums. Since they come from tropical climates, they appreciate the natural humidity generated by the terrarium. Best of all, you can finish this project in a single snowy afternoon! Did you know that many fruit trees can be grown in containers indoors? Meyer lemons, fig trees, dwarf oranges, and other miniature fruit trees all survive and thrive in pots. In fact, some growers think figs even fruit more heavily when grown in containers. Most fruit trees like humidity, so a mist with a water bottle or an afternoon spent next to a humidifier will do them a lot of good. To incorporate trees into your decor, plant them in a woven basket, cement planter, or another decorative container. Design and fresh citrus? Sign us up! Starting your own plants from fruit and vegetable scraps is a truly gratifying experience. Not only do you get to enjoy some fresh produce, you can also turn around and transform it into a plant that will bear fruit for years. And when the winter wind cold creeps in, anything tropical and fresh provides a welcome relief. To grow your own pineapple, cut off the top of the crown and pull the bottom leaves off the stalk. Let the stalk dry out for a few days so it won’t rot when it’s planted. Then pop it in a pot filled with succulent potting mix. Mist it occasionally, but make sure it doesn’t get too wet—pineapple doesn’t do well when it’s overwatered. Keep at it for a few winters, and you’ll be rewarded for your efforts with fresh, juicy fruit. Black thumbs rejoice! Even you can have fresh sprouts for your sandwich! Microgreens add zip and crunch to salads and main dishes, and make an excellent garnish. And nothing is easier to grow. Purchase a microgreen kit, or do it yourself using a clear plastic container. Poke holes in the lid to allow the greens to breathe, and then fill the bottom about halfway with seed starter. Dust with lettuce, mustard, cabbage, kale, and kohlrabi seeds—or just purchase a premixed bag of microgreen seeds. Mist well with a spray bottle, and let it grow. In about a week, you’ll have fresh greens for your salad. With a little green in your home, your indoors will be lovely and vibrant, even when the outside is anything but inviting. Winter, do your worst!